Ever since she was young, CirceDarcalhas had the ability to notice things other people don’t, but no-one ever took the gift seriously. That will all change when Circe leaves her home town to start her studies in Ochoa, the city where her parents were murdered. There, she begins to get to know herself and learns that some secrets must be kept. Circe will soon find out what ties her to these secrets as well as her role in an ancient, transcendental struggle. This novel is part of new trend of fantasy literature written by women for women, a phenomenon that is growing bigger every day. She was finalist in the Premio Planeta in 2013. 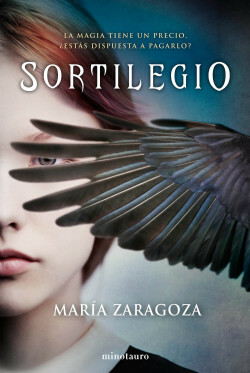 María Zaragoza creates a very carefully drawn atmosphere and subtle characters that fans of Harry Potter will love.